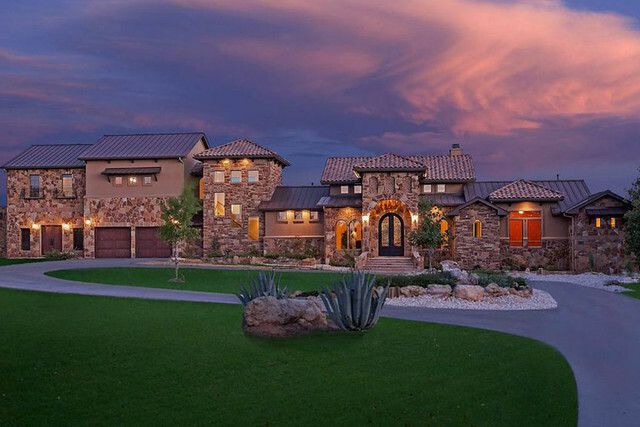 Preston Homes of Texas is the premiere custom home builder in Hill Country, Texas. We have nearly 20 years of experience in providing the central Texas area with custom homes of superior quality. The decision to build the home of your dreams is one of the most significant choices you will ever make. In addition to making that decision, you also have to select a custom home builder that can make the home of your dreams a reality. At Preston Homes of Texas we understand that these decisions can be a bit overwhelming. We want to guide you through the process of custom home construction in order to help take some of the stress and intimidation out of building your dream home. The first step in constructing the home of your dreams is to assemble a list of potential contractors. There are many ways to go about finding local custom home builders. An internet search is always a good place to start, and checking with your local Better Business Bureau is a great idea. Additionally, check with real estate agents in your area. Ask family and friends if they have had good experiences with a custom home builder, or if they know someone who recently has moved into a custom home they love. Once you compile a list of potential builders, it is time to begin asking questions. Because building a custom home is such a momentous occasion, you want to be absolutely positive that you are hiring the perfect custom home builder for you. You will be working closely with your builder until your home is complete, so you want to be able to trust your builder implicitly to execute the plans you have for your dream home. Will they provide you with references of recent buyers or homeowners? What are available options and how customized can the house be (if using a floor plan from the builder)? Are you able to up or down-grade appliances? What, if any, are the additional fees relating to the home or the specific development chosen? Do they offer a warranty? If so, what is the duration of the warranty? What are the estimated property taxes? Is there an established change order policy? How often do the projects go over budget? What is the average overage amount? Do they offer a written expected timeline for the project? Is there communication during the project? Who would the builder have you contact if there were questions and concerns during construction? What is the protocol if construction is not finished on the agreed upon closing date? Are there any major development plans for the area within the next 5 years? How is the school district rated? Are there conveniently located doctors, day care, dentists, grocery stores, etc…? Are there emergency services in the area? Since 1997, Preston Homes of Texas has been in the business of turning dreams into realities. As the National Association of Home Builders notes, “When you’re thinking about buying a new home, selecting the right builder is a key step in creating the home of your dreams. You should feel comfortable asking a potential home builder every question that you think is important.” We want to make you feel as comfortable and excited about building your dream home as possible. 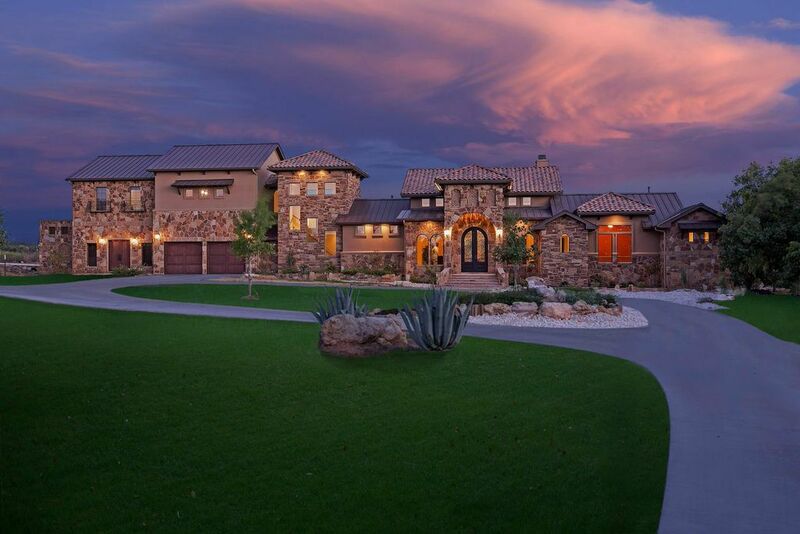 Preston Homes of Texas is an award-winning custom home builder. We have an A+ rating with the Better Business Bureau and are a third generation family business. Our impeccable homes and superior customer service make us the custom home builder that you deserve. We would love to meet with you to answer any and all questions you may have about the process of building a custom home. Contact us today to find out how you can stop dreaming about your ideal home, and how you can start living in it. Living in the Texas Hill Country presents you with scenic views, rugged yet beautiful landscapes, immense wildlife, and much more. The Texas Hill Country comprises 25 counties in the south and central regions of Texas. The Texas Hill Country includes the two major cities of Austin and San Antonio as well as smaller cities and towns filled with typical Texas charm and unique character. What are the 25 Counties in the Texas Hill Country? What is the Landscape of the Texas Hill Country Like? The Texas Hill Country is a vast expanse of land with a variety of vegetation and views. Much of the terrain in the Texas Hill Country features limestone or granite and is home to Enchanted Rock, one of the largest granite domes in the United States. The Texas Hill Country also includes numerous caverns including the Longhorn Cavern State Park, the Cave Without a Name and the Wonder Cave, which formed after an earthquake along the Balcones Fault. In addition to the granite and miraculous caverns, there are rolling plains and rugged hills and the Texas Hill Country is home to a few species of plants such as the Texas live oak, cedar scrub and the prickly pear cactus. The Texas Hill Country also features some of the most luxurious water landscapes in all of Texas with the beautiful Lake Travis, Lake Marble Falls, Lady Bird Lake and Lake Austin. These natural bodies of water provide residents and visitors of the Texas Hill Country with endless water recreation from kayaking to fishing. Additionally, Texas Hill Country is the origin of the Guadalupe, Medina, Frio, Nueces and San Antonio rivers. What is there to do in the Texas Hill Country? Truthfully, the question should read what isn’t there to do in the Texas Hill Country? With 25 counties and two major cities, this region of Texas is home to culturally diverse experiences. There is something for everyone located right in the heart of Texas, the Texas Hill Country. The Texas Hill Country is becoming more famous for it’s wine and is currently home to about 40 wineries. These wineries attract nearly 5 million visitors each year and offer first time winery guests and expert tasters alike an inviting and friendly atmosphere. As previously mentioned, the Texas Hill Country offers visitors a large number of natural attractions from the caverns to bodies of water. Not only is there fun to be had by day, but the Hill Country Alliance seeks to preserve some of the magnificent beauty of the night sky by eliminate “light pollution.” The HCA offers several programs, such as Stars Over Utopia, for those that wish to do some star gazing and learn how to protect the night sky. For those that love to spend time exploring outdoors, head to one of the Texas State Parks in the Texas Hill Country for a bit of geocaching. The area attracts numerous hunters each year for a variety of different types of hunting from white-tailed deer to pheasant. Ready to build your custom home and start living in the Texas Hill Country? See yourself surrounded by the beauty of the Texas Hill Country daily when you make the area your home. Let Preston Homes of Texas create a custom home for you that echoes the style and grace of the area. Preston Homes of Texas proudly builds in Texas Hill Country and we would love to help you make this area your home. The mark of a truly great home builder is the look of awe on the faces of those who pass by a completed home construction project. This year Preston Homes of Texas is honored to have the opportunity to show the community what we have to offer in custom home construction in the Hill Country Builder’s Association Parade of Homes in the Texas Hill Country just outside of Austin. On the weekends of October 17th-19th and 24th-29th, you can come see the work of Preston Homes of Texas featured in this year’s Hill Country Builder’s Association Parade of Homes in Texas Hill Country. This prestigious annual event is presented by the Hill Country Builders Association (HCBA). The Parade will showcase the newest trends in construction, building design, interior decor and landscaping in one of the country’s most vibrant real estate communities. This event gives builders the opportunity to show their skillful craftsmanship as well as the latest and greatest styles in the building industry. Preston Homes of Texas will be showcasing a home that features a unique Texas-Tuscan style. The old world estate property is located in the Texas Hill Country near Marble Falls. This lovely home was chosen to show the community the high-quality, natural elegance of Preston Homes of Texas. Preston Homes of Texas is proud to have been invited to participate in this wonderful event. We invite you to come see our work in person to experience the beauty and character of our homes. Tickets for this Parade of Homes in the Texas Hill Country are available at the home itself on Parade days as well as at any Hill Country Security State Bank and Trust. With your ticket purchase you will receive a guide book with everything you need to know about the event and the builders featured in the Parade of Homes. Building the house of your dreams (and within your budget). You have decided to build a new custom home. Now, how do you create a realistic custom home budget that will help to you to get from where you are, to where you want to be? Keep in mind that no one should expect to know all the in’s and out’s of a building project without putting in some time and effort. 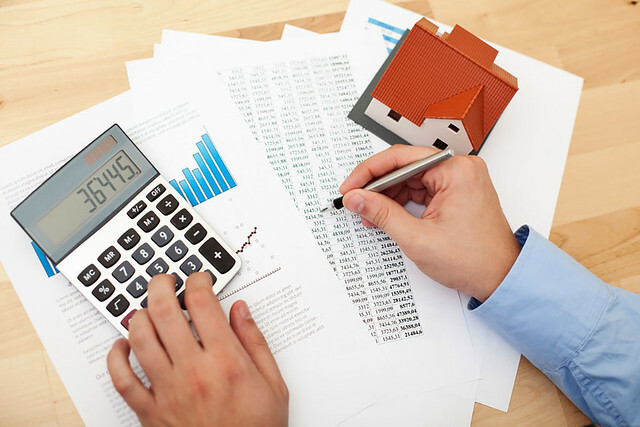 Additionally, costs can and do vary, and although you may end up with a good estimate, you will need to be somewhat flexible and add in buffers for the unexpected. You can begin though, with some rough estimates. One great way to find out what things cost is to drive around and look at recently built homes. Picks ones that are close to the size and style of your custom home. See what the asking price for the newly constructed homes (and the price of the land itself). Then you can subtract the cost of the land and get a rough idea of what to expect. You do not have to be completely alone in this process. A good builder, for instance, should be able to help you avoid common pitfalls. You can also talk to your mortgage lender, do some online research or invest in a book about the process. For example, Amazon.com offers “Building a Custom Home for Dummies.” It is available in both electronic and print formats for a nominal price. There are other helpful tools out there, and many are free. For example, you can find a budget calculator at http://www.building-cost.net/ to help you crunch the numbers. You might also want to check with family or friends who have been through the process themselves. 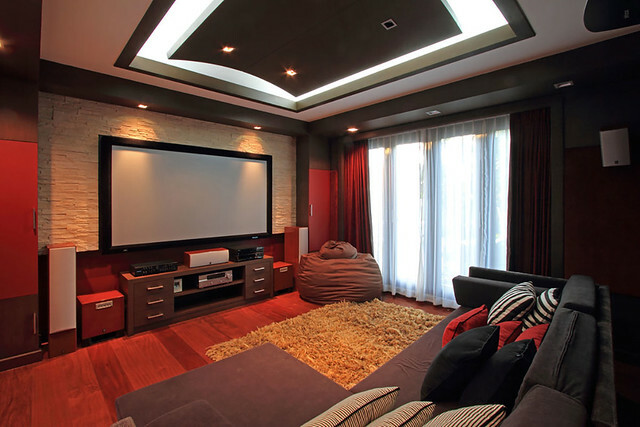 First, you will need to choose a location for your custom built home. This is also an instance where taking your time really pays off in the end. You will need to add in the cost of the land (as well as any additional work such as clearing it). You are going to have two main cost categories: “hard” and “soft” costs. Your hard costs would be made up of the cost of the land, the materials and the cost of labor. The soft costs would be all the other costs, including “hidden” costs such as additional fees and other, indirect costs. Remember to allocate a sufficient amount of money for things that many people forget to include such as the cost of moving, how much you want to spend on landscaping and any additional fees or costs such as building permits, inspection fees, development fees and costs associated with closing. After you have read a few books (or done some online research) and gotten a good feel for things, you are going to need to decide which things are must haves and which things are optional. For instance, can you live with one less bathroom if it allows you to put in a patio? Your answers will be determined by your family size, lifestyle, tastes and needs. Building a custom home can be a wonderful experience if you are prepared to put in a little legwork and think about what you really need and want. Again, that is where a good contractor can truly shine. If they have been around the block a time or two, they can advise you about what to expect. It is always better to be prepared than to go broke because you did not think things through. A good home builder or general contractor can make the process so much easier and enjoyable by assisting with many of your concerns to insure that no areas are over looked.